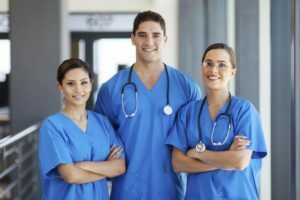 At ECMStaffing, we are continually focused on recruiting and hiring experienced Registered Nurses (all specialties), Licensed Practical Nurses, Certified Nurse Assistants, and Allied Health Professionals for travel nursing, local contracts, and per diem assignments. If you have the needed experience and expertise, and are looking for exciting employment opportunities – you’re in the right place! Travel contract assignments offer our employees guaranteed work schedules. This provides our staff members with the security of knowing they have a predetermined schedule set directly by the client. Contract assignments have duration periods of 4 to 26 weeks (or longer), and employees working these assignments are eligible for ECMStaffing Benefit Programs and increased pay rates. I am interested, tell me more! At ECMStaffing, each employee is assigned a recruiter that will work with them one-on-one to find the perfect travel assignment. During the hiring process, your recruiter will collect detailed information from you regarding the types of contract assignments you’re most interested in working. We believe this is an important step in the process of understanding our employee’s needs. By taking the time to understand our staff member’s employment desires, inefficiencies are eliminated and valuable time is saved for everyone involved! Not interested in traveling to a distant city for a travel nursing assignment? Chances are there is a local contract assignment available at a facility in your area. To find the latest contract assignments close to home, search the “Latest Jobs” tab for an updated list. Still having trouble finding the perfect assignment? For more information about available jobs, please call 253.475.0695 or sign up for jobs notifications and be the first person notified when new assignments are posted! Quickly search for the latest contract assignments by location, facility type, and nursing specialty! "I have experienced great communication and quick responses to any questions I have. It has been a very positive experience to work with Emerald City Medical Staffing."